Happy Good Friday, how is the planning of Easter Day doing? It’s has been a busy week this year thus we didn’t do much to celebrate Easter Day. 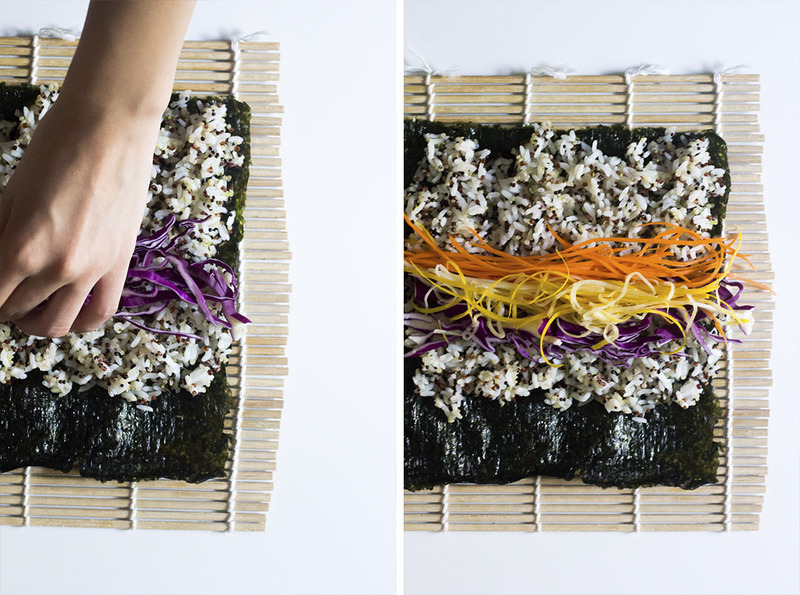 This holiday we make a Rainbow Quinoa Sushi Rolls to treat our stomach. 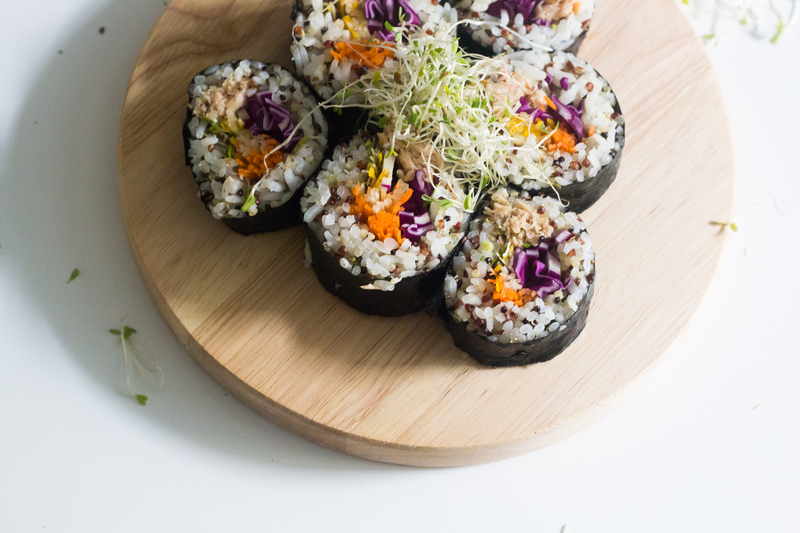 This sushi is similar to the one we have previously, Tuna Broccoli and Quinoa Sushi but it contains more vegetables that it. 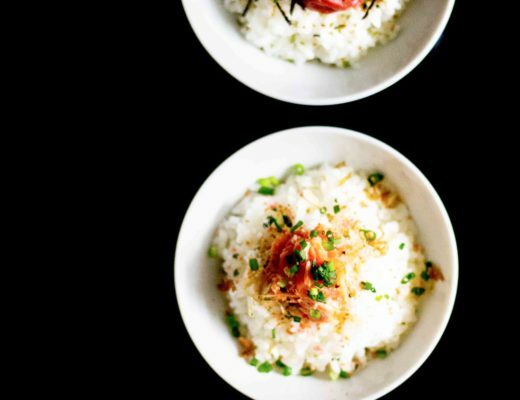 It tastes more simple and refreshing than the Tuna Broccoli and Quinoa Sushi. 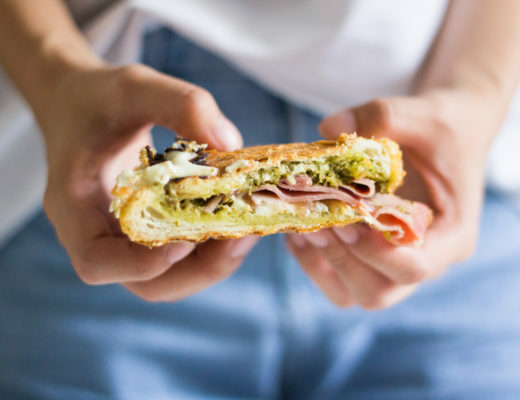 It’s simple, elegant and delicious. Quinoa adds a faint crunch that rice doesn’t, and the nutty flavor really makes the other ingredients sing. 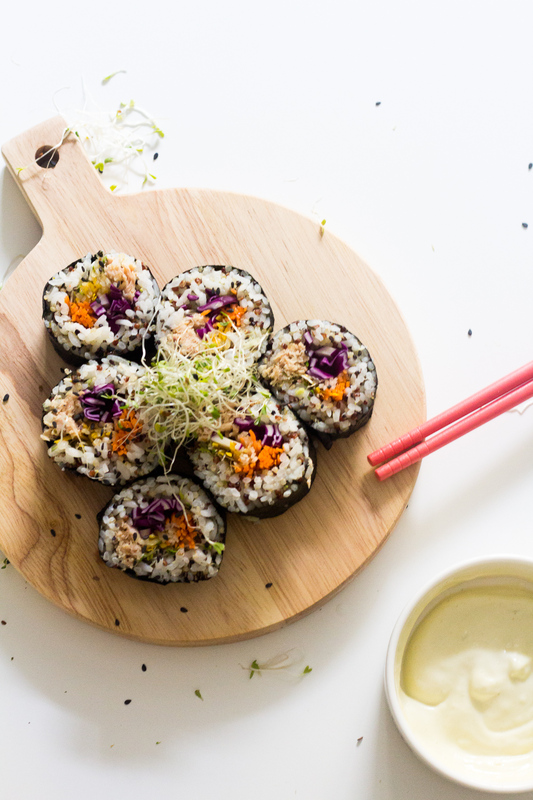 I chose tuna because it’s the easiest sushi grade fish for me to find, but this would also be delicious with salmon, yellowtail, shrimp or even grilled chicken. 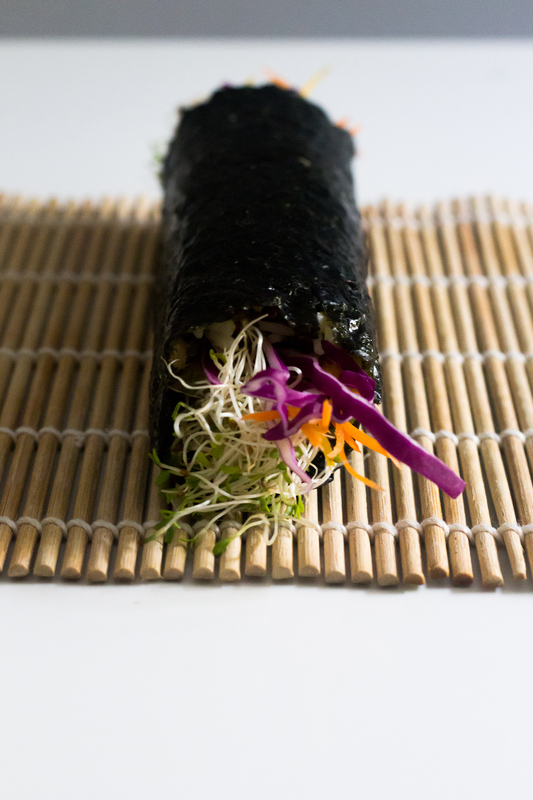 To cut that perfect slice of sushi, start by placing uncut nori rolls in the refrigerator for 5 – 10 minutes before cutting. 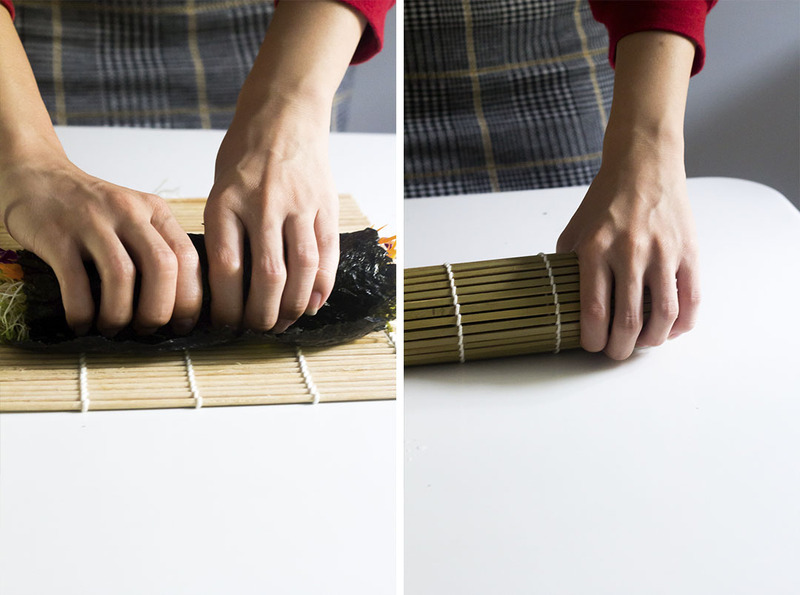 Use a wet knife to cut for clean and even cut sushi. Remember to clean your knife every once or twice you slice the sushi. Slice the carrot, zucchini, and cabbage into thin slices. 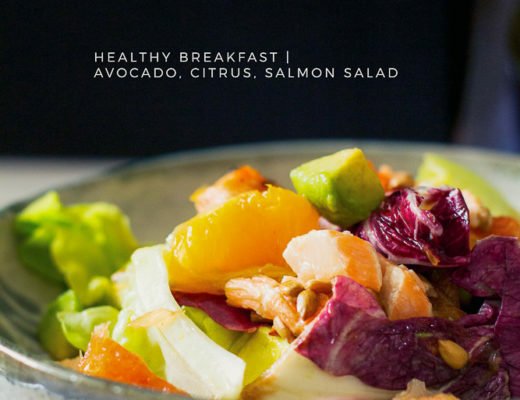 Prepare fillings and set aside. 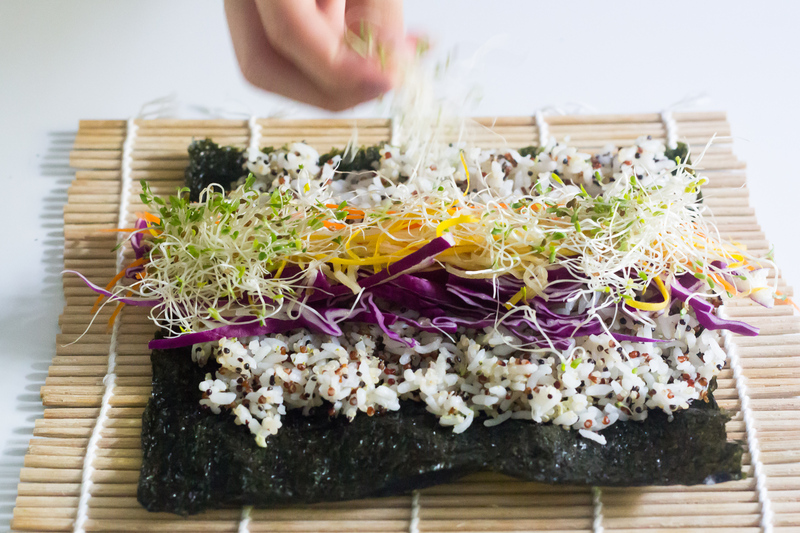 Line one end of the nori sheet with quinoa and broccoli mixture then top with filling (we top it with carrot, zucchini, bean sprouts, cabbage and canned tuna) all the way across one edge. Gently fold filling end over on itself and continue rolling to form a tight cylinder. Gently cut through the roll with the sharp knife using very little weight and a back and forward motion. Cut into bite-size pieces (approximately 6 pieces per roll). Leave in the fridge for 5-10 minutes before serving (sushi holds better when chilled). Serve as is or with soya sauce and wasabi for a dipping sauce.